THE show’s far from over. 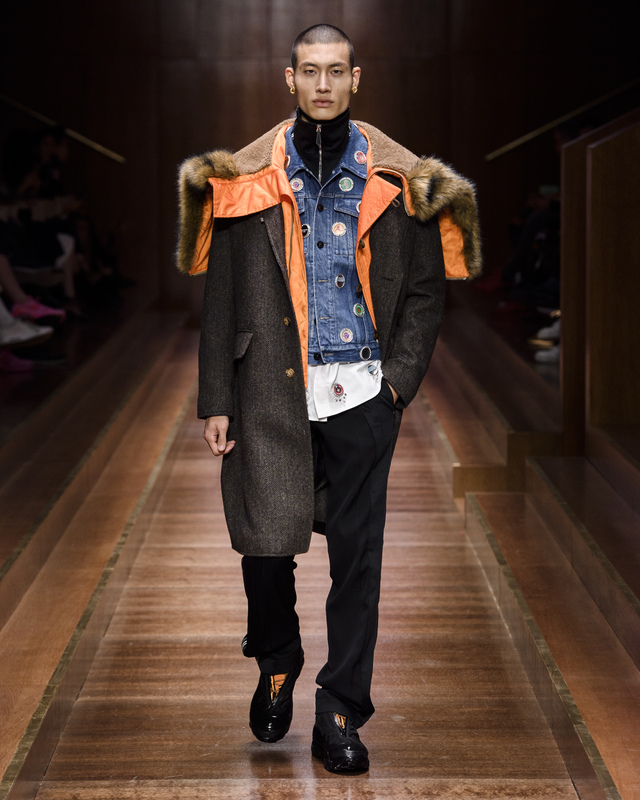 In the fashion calendar for February, the cities of Milan, New York and London saw a lot of lights, camera and action, with combined shows rolling out everywhere. 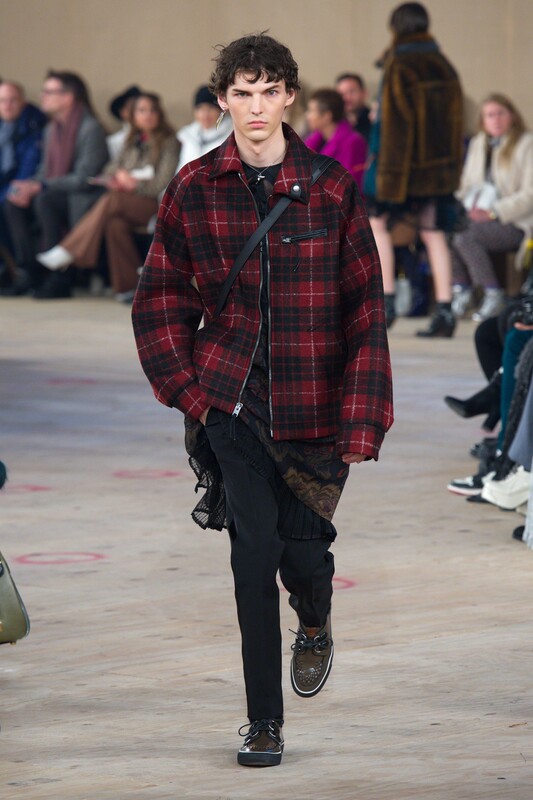 We don’t want you to miss out, so here are more FW19 menswear looks that we know you’ll like. This season, creative director Stuart Vevers is going with bold, exaggerated outerwear to demonstrate his definition of a psychedelic party. 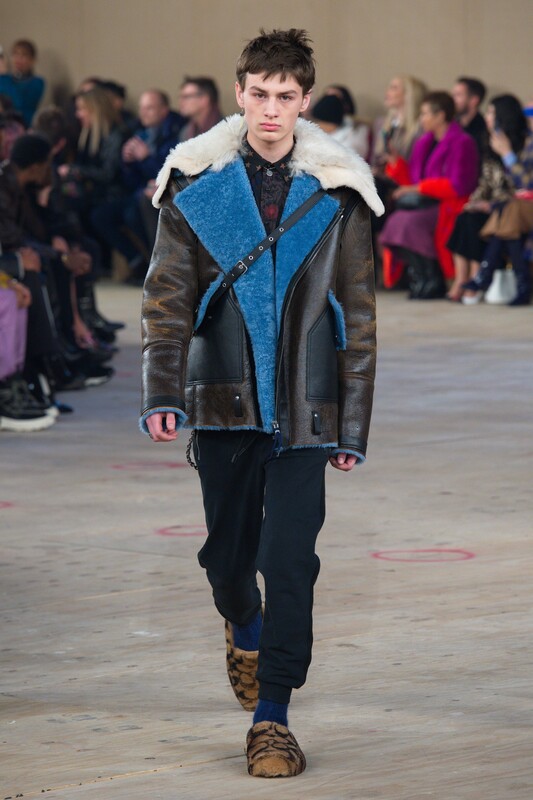 One of Coach’s FW19 menswear looks that we love is the shearling jackets with the larger-than-life lapels. As of last October, Coach has decided to go fur-free; this woollen alternative here is giving us a bad-boy-in-a-cold-winter vibe. To accompany Coach’s rebellious theme, we can’t believe it’s also bringing beanies back in vogue. It’s official: Beanies are no longer passé — you heard this from us first. Not to mention the addition of oceanic blue plaids in its contemporary takes, Coach is getting us excited to roam the streets in its frosty winter outfits. 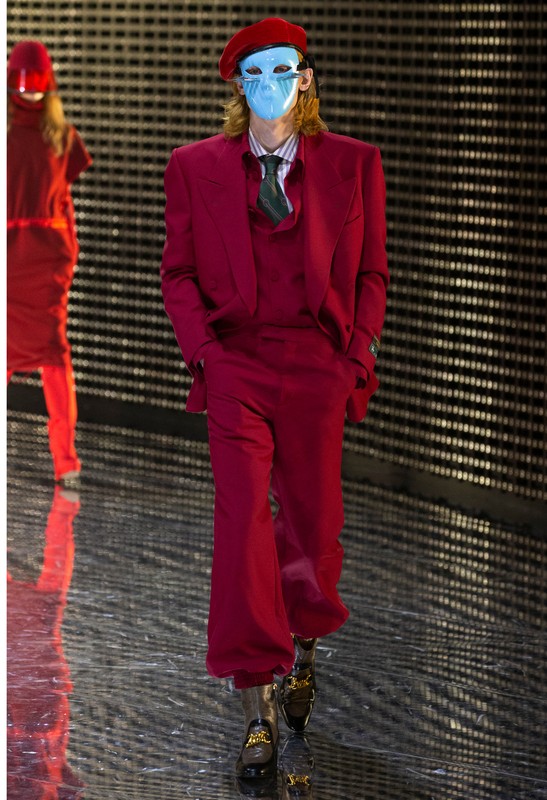 You know Gucci, and you also know Alessandro Michele. 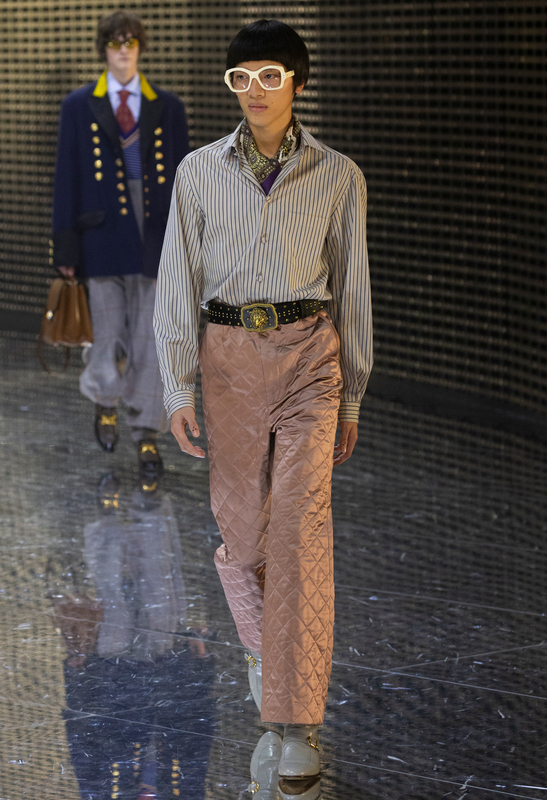 It’s hard to top a showstopper like the Gucci Fall 19 show, much less its FW19 menswear looks. 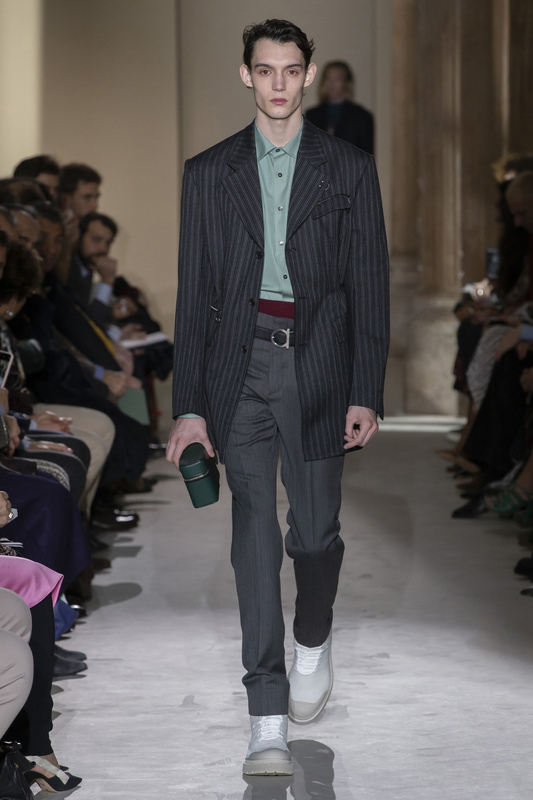 Michele cites the concept of ‘Persona’ as the focal point this season, and the number of masks we saw shows Gucci’s passionate intention to explore the plurality of identity-making. For the men, full trouser legs were cinched above the ankles with cord, while coats and jackets with unfinished stitchings were paired with luxurious shawls. Sadly though, those amazing metal ear coverings aren’t going to be for sale. 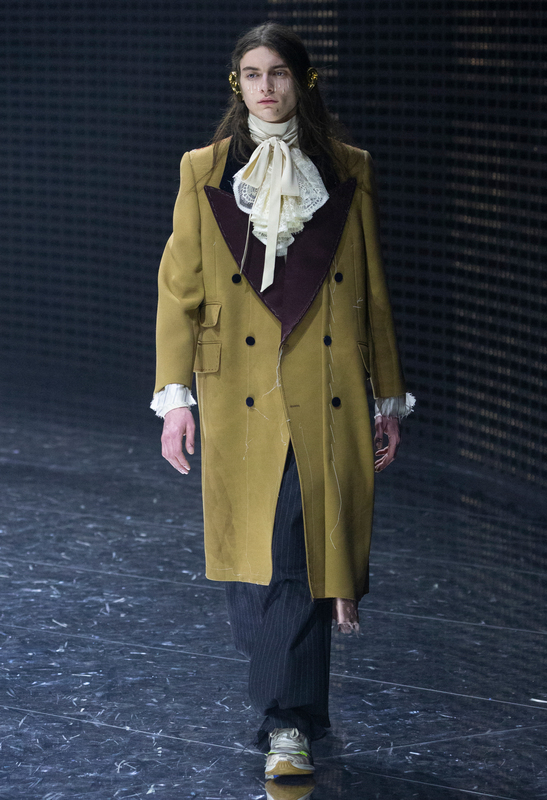 The collection was everything fans had hoped for and more — vampire meets victorian royalty in concert — that is our take on Gucci’s FW19 collection. Do you ever wonder if the same outfit will look as good if you wear it to another event? 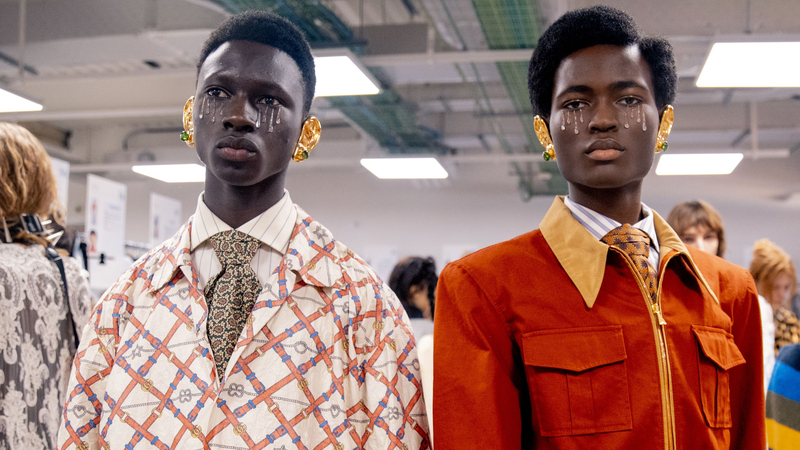 Looks like creative director Riccardo Tisci can relate. 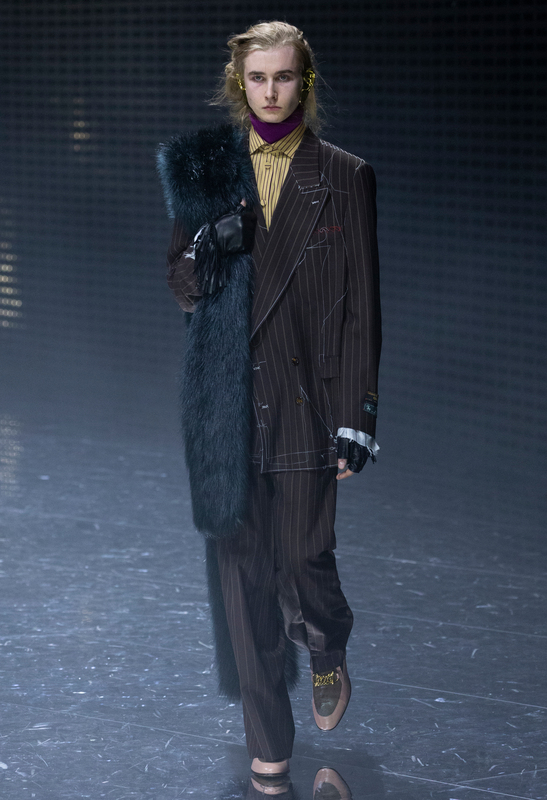 Alright, those aren’t Tisci’s exact words, but this is one of the first times we’re seeing a designer experiment with two different venues in one show. One, a structured wood setting with a dimly-lit runway, and the other, a dark and brutalist underground. 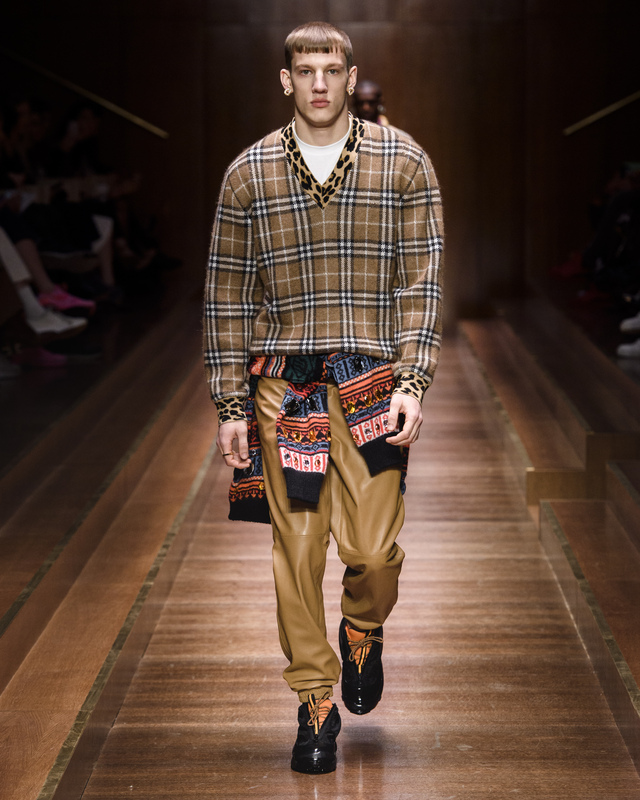 Like we expected, Tisci is continuing the rhetoric for designing the codes of the Burberry family. 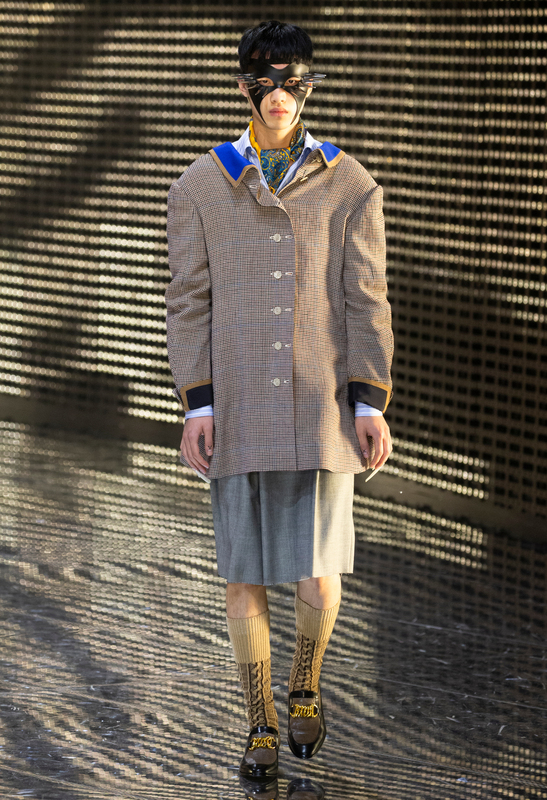 For the playful boy, vintage checks were revisited in bold patchworks along with accents of animal prints. 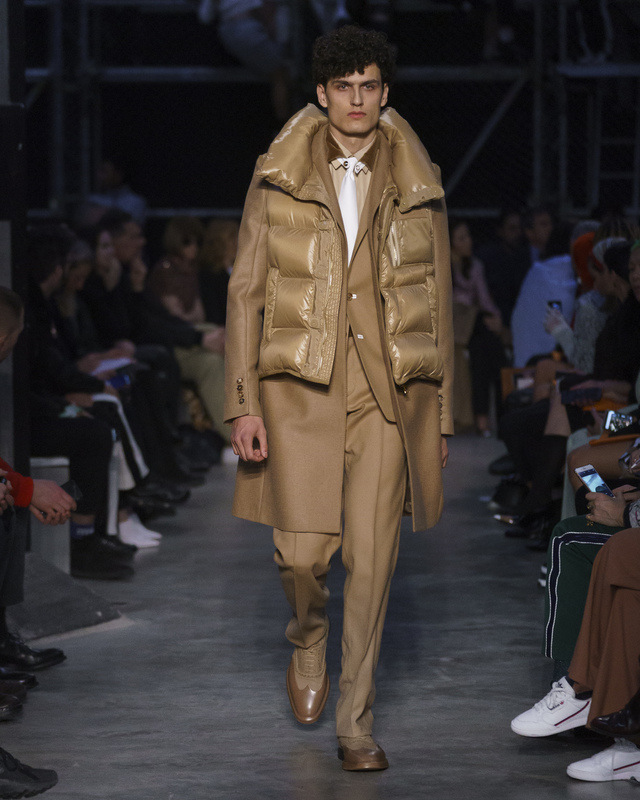 As for the classy gentleman, the contemporary suit and coats were layered with quilted gilets that evoked nautical vibes. Maison Ferragamo is the perfect epitome of teamwork making the dream work. 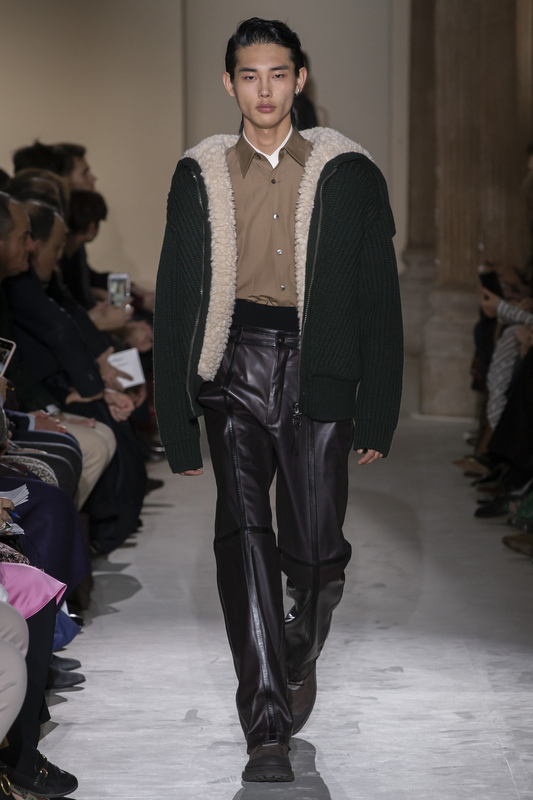 While there isn’t much commentary on the design chemistry between Paul Andrews and Guillaume Meilland, it’s clear as day why Ferragamo thinks a co-ed show works for them. 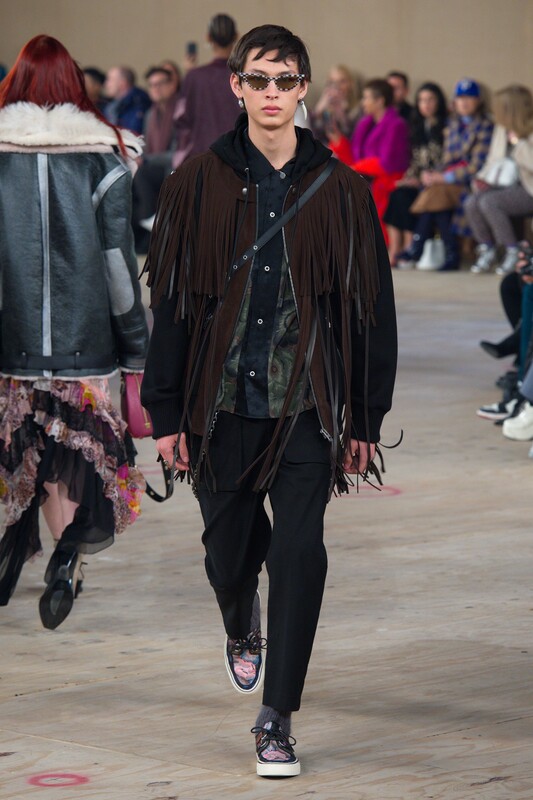 This season’s “Generation” theme suggests the iteration of family, a cultural continuity central to the spirit of the brand and more importantly, embracing the politics of togetherness. 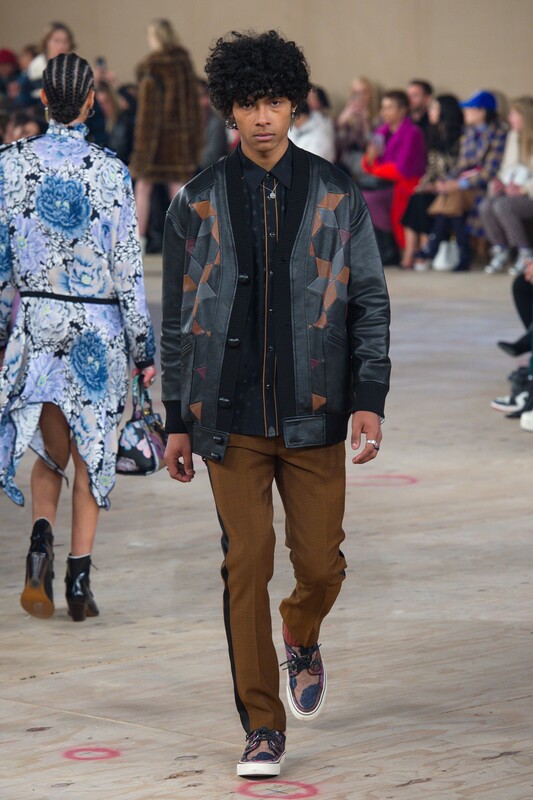 The answer is a symbiotic relationship between menswear and womenswear. While Andrew’s and Meilland’s individual signatures shone through, the pieces for both the men and women were in perfect harmony. 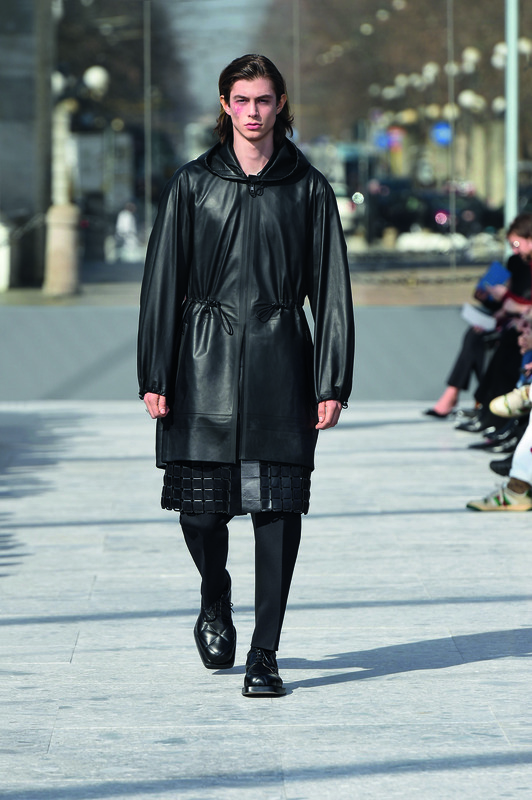 To name a few, technical wool gabardine and deerskin were some of the materials harnessed. 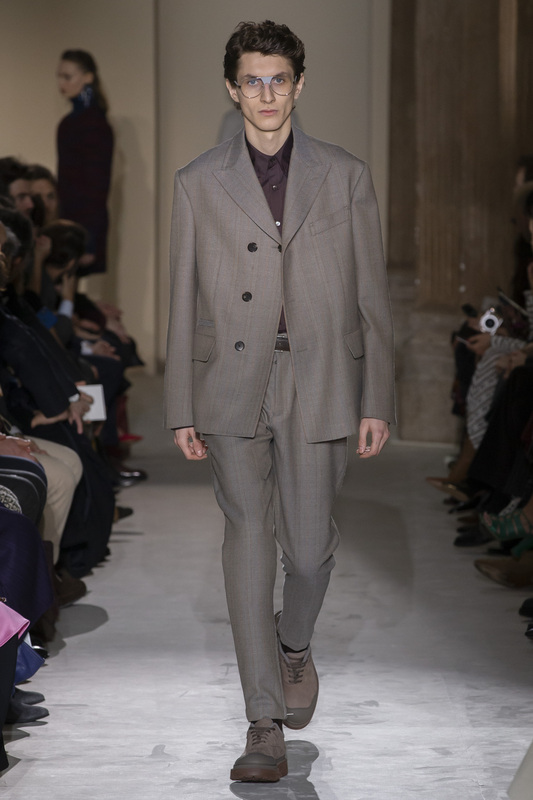 Design-wise, the three-button suit with soft shoulders and widened lapels was also a welcome update. The biggest takeaway? This designer duo is creating bigger waves that more people will be talking about. 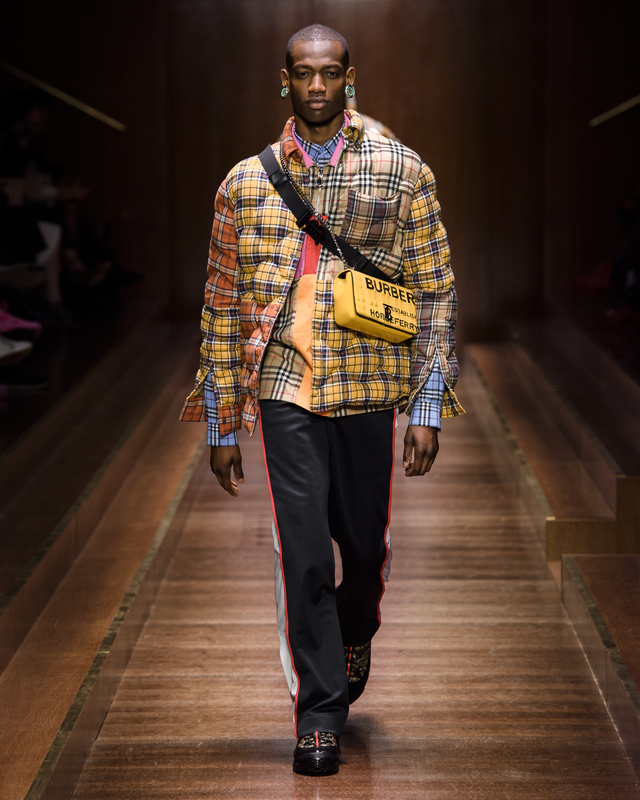 Pulling off a Bottega runway show for the first time is no easy feat for any designer, much less newly-sworn in creative director Daniel Lee. For starters, Lee brings the focus back to the core of what the Italian Maison is good at. 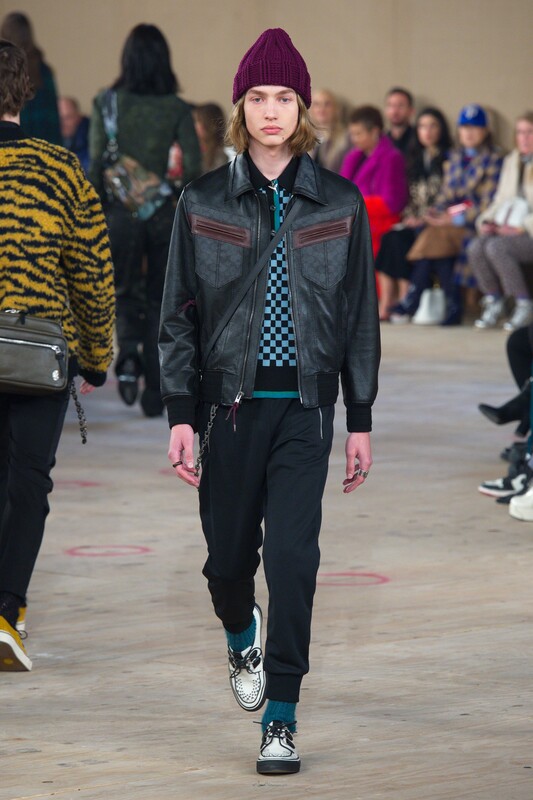 In this season, he looked to biker leather. 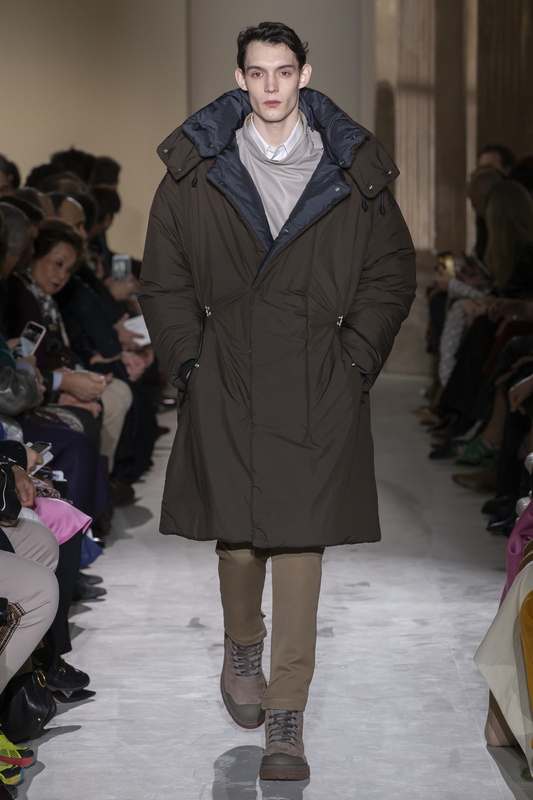 Amongst the FW19 menswear looks, we saw much-needed modernity breathed into Bottega’s traditional techniques. 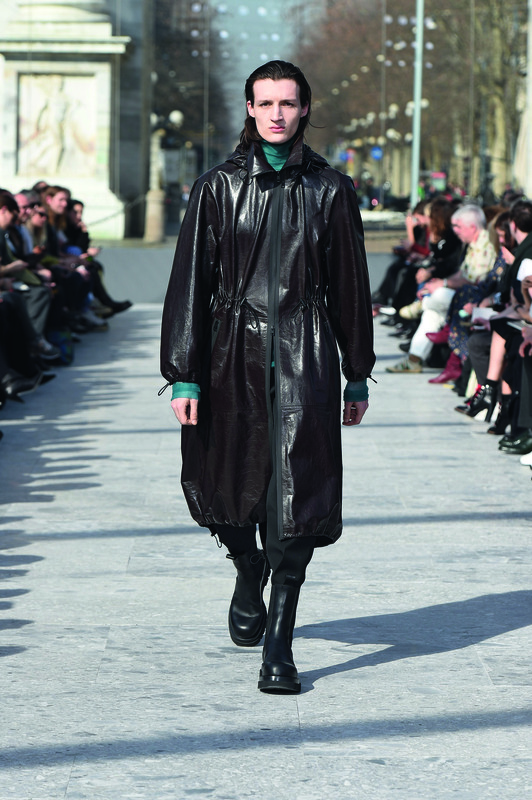 Sturdy leather sole boots were the staple footwear of the collection and clearly, it wasn’t a subtle suggestion. 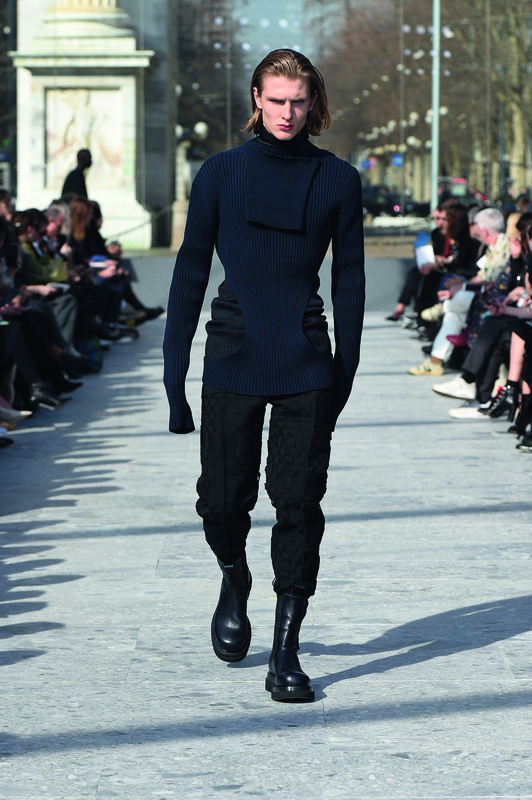 In terms of tailoring, the sleeves became narrower and almost two-dimensional, extending past the wrists. 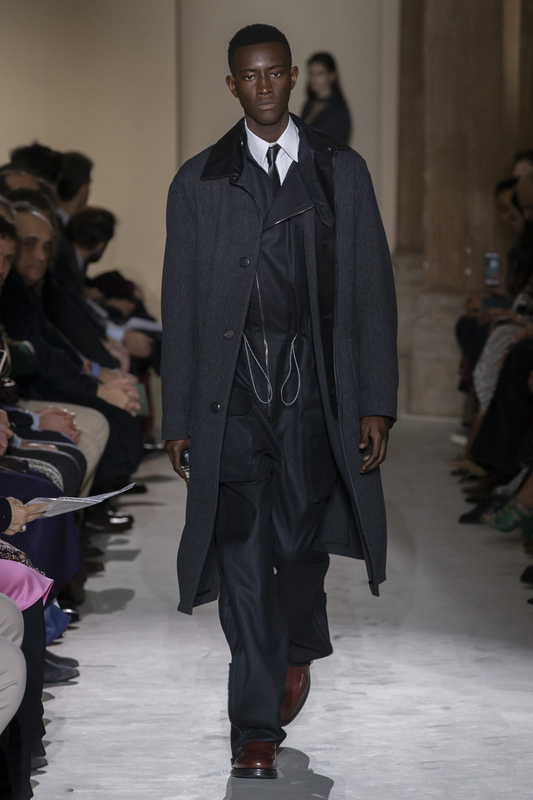 Lee also made shoulder lines more pronounced with exaggerated tailoring in the jackets. It was probably within his intention for it to look ten sizes too big, so we figure it’s meant to be comfy and stylish at the same time. 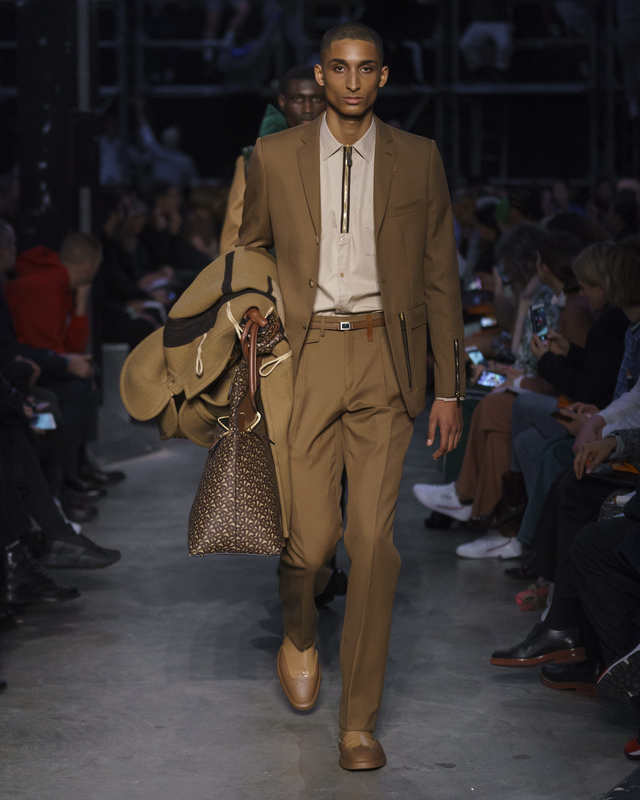 For more of the Runway Rundown, check out part 1 and part 2 here, featuring brands like Louis Vuitton, Givenchy and Celine.